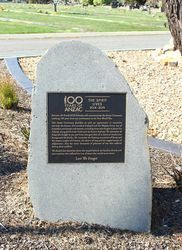 A monument commemorates 100 years of ANZAC. The monument also pays tribute to those who served in conflicts in which Australia has been involved. 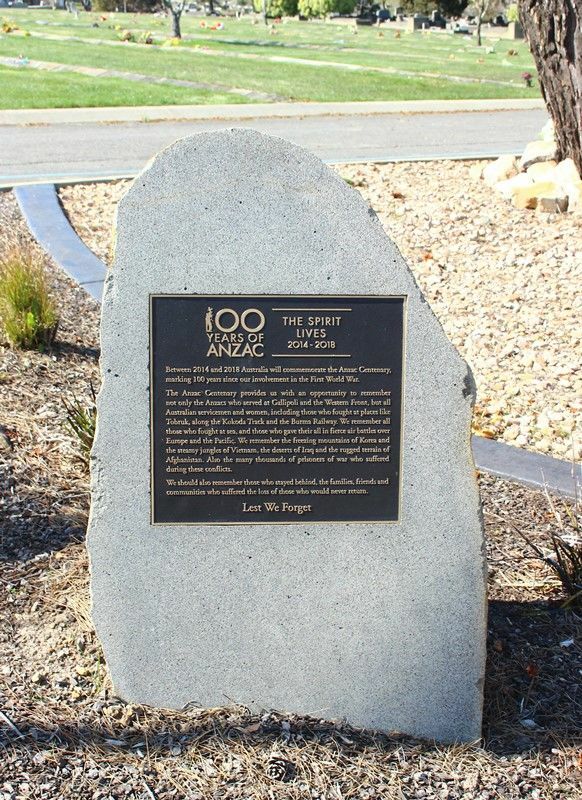 Between 2014 and 2018 Australia will commemorate the Anzac Centenary, marking 100 yeras since our involvement in the First World War. 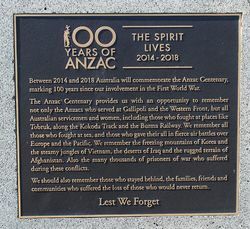 The Anzac Centenary provides us with an opportunity to remember not only the Anzacs who served at Gallipoli and the Western Front, but all Australian servicemen and women, including those who fought at places like Tobruk, along the Kokoda Track and the Burma Railway. We remeber all those who fought at sea, and those who gave their all in fierce air battles over Europe and the Pacific. We remember the freezing mountains of Korea and the steamy jungles of Vietnam, the deserts of Iraq and the rugged terrain of Afghanistan. Also the many thousands of prisoners of war who suffered during these conflicts. We should remember those who stayed behind, the families, friends and communities who suffered the loss of those who would never return.